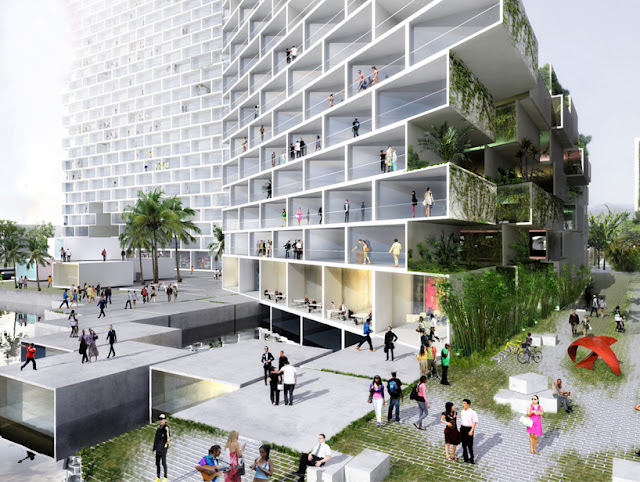 BIG architects have unveiled images of 'Marina Lofts', their new development of 1,000 mixed-use units for the burgeoning river area of Fort Lauderdale, Florida. 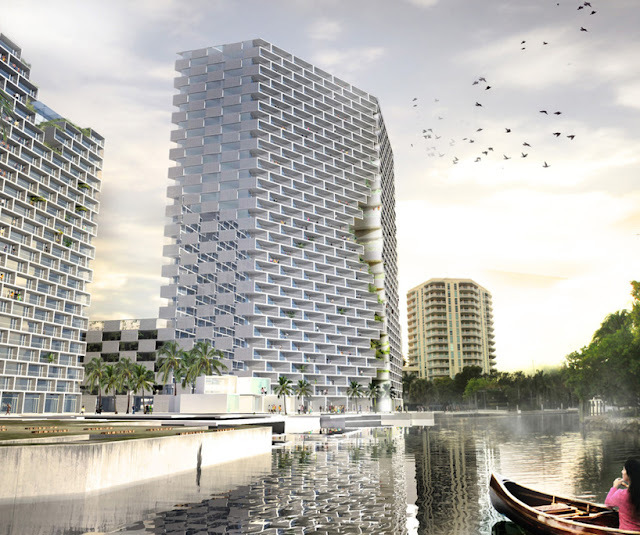 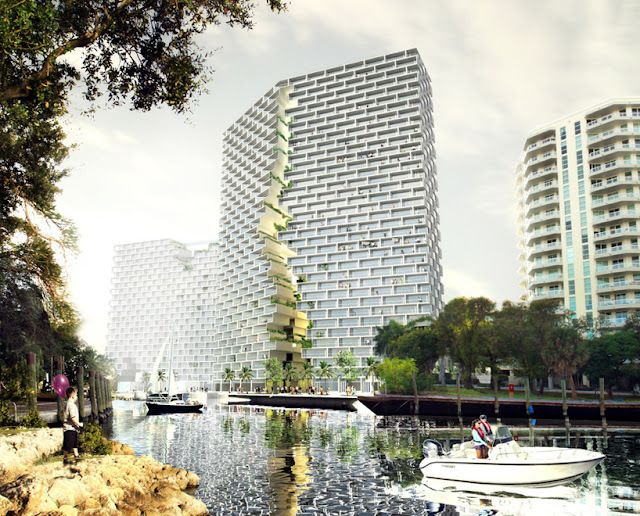 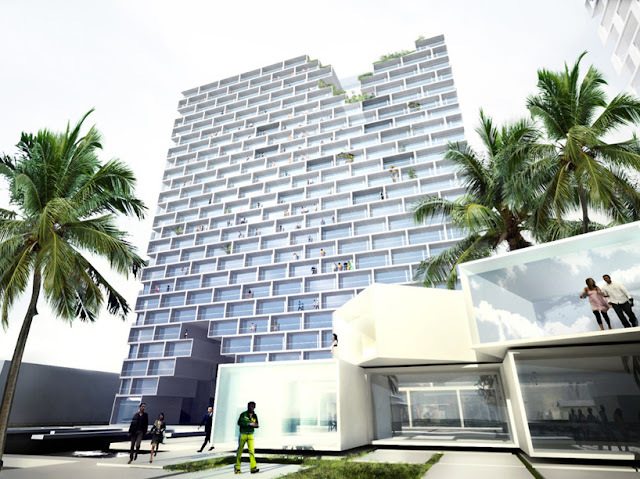 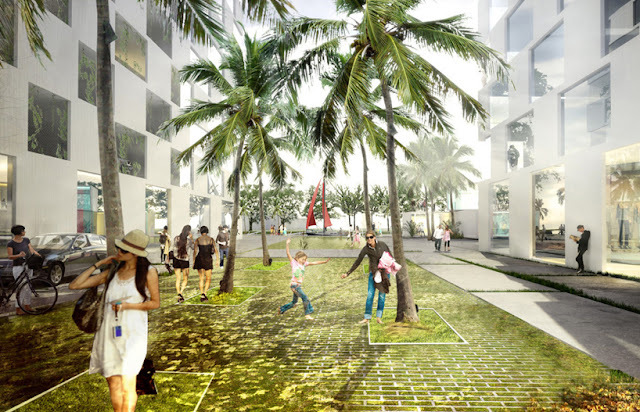 The radical designs include two towers with continuous tessellated facades with an illusive break down the middle that creates a wide public promenade and connects the buildings with the waterfront area. 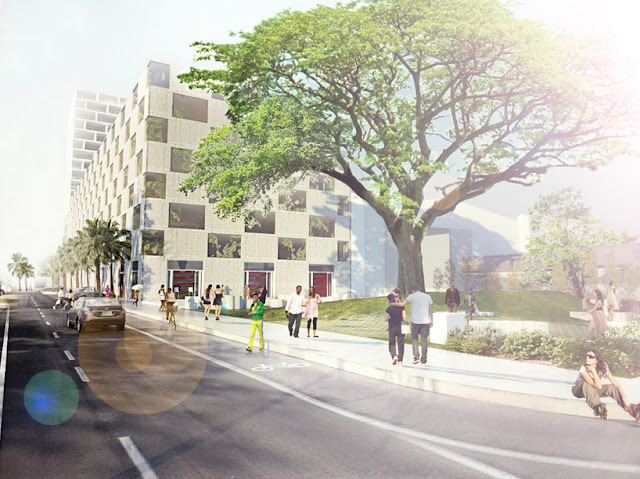 The development has generated a great deal of controversy given the planned displacement of the largest rain tree in the state of Florida. 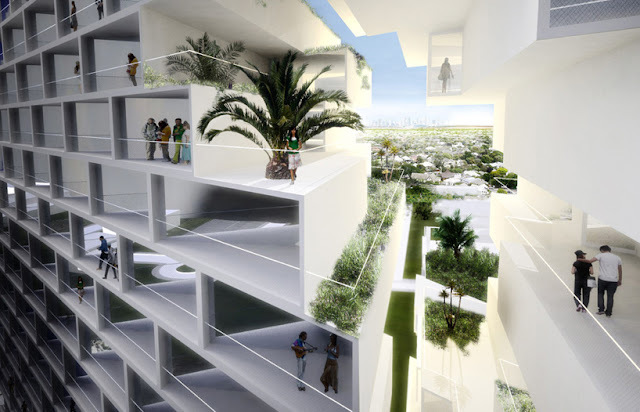 The 60 foot high and 127 foot wide tree is protected by the city’s commission and is believed to be a unique specimen in the whole of the USA.